Solidly built and easy to handle by one or two persons. 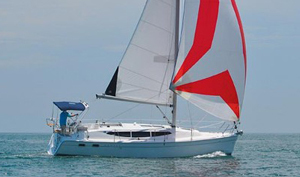 This Ron Holland-design is equipped to take you cruising or live-aboard comfortably. The free-standing masts are time-tested carbon fiber. All control lines lead aft to the cockpit. To tack, just turn the wheel! No hassle with other control lines. 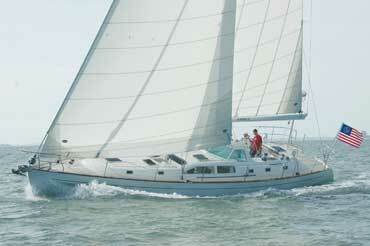 Sails are like-new, in excellent condition and fully battened. 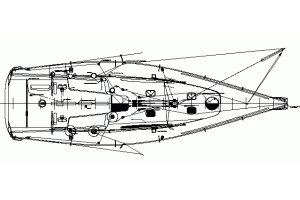 Full cruising equipment – autopilot, windvane, watermaker, SSB, radar, solar panels. The perfect combination of contemporary design with uncluttered decks and the legendary freestanding Freedom carbon fiber spars. Fast and easy to sail! She sits on the hard in Guaymas. Her bottom is ready for a new coat of antifouling paint, and she’s ready to go! On deck, the legendary Freedom carbon fiber main and mizzen masts. No shrouds or backstays to clutter your deck. All lines lead aft to the cockpit. 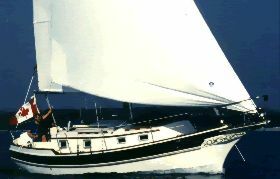 Double lifelines with port and starboard opening gates, large bimini with roll-down screens, solar panels mounted on top to provide shade. Dodger has integral SS grab rails. 6 large aluminum cleats. Teak hand rails on cabin top. Cockpit features a drop-leaf, fold-down table. Below decks, forward cabin has access to the chain locker. V-berth is a king size at the head, with generous storage and two hanging lockers. A passageway door provides privacy. Opening port and hatch for light and ventilation. 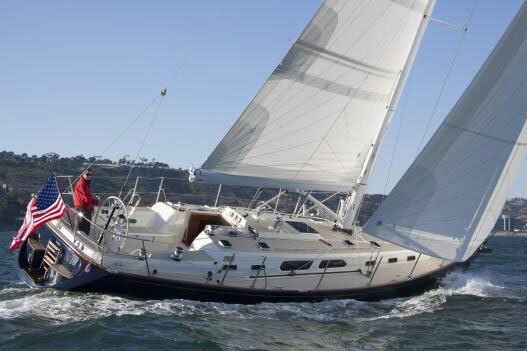 Head and shower access immediately aft and to starboard of the owners cabin. Main salon features two upholstered swivel barrel chairs to port, with built-in table and bar. Storage in hanging and regular lockers. To starboard is a large U-Shaped settee and dining area. Dinette folds out for sitting 2 persons in club chairs, in addition to those on the settee, accommodating 6 people easily. Outboard port and starboard are full-sized pilot berths with high teak lee boards and lee cloths. Large cabin trunk windows and overhead opening hatches provide light and air. Continuing aft and to port is the galley. Nav station is to starboard. Quarter berths full aft, can sleep 2. Caframo 757 fans installed throughout. Ship’s clock and barometer in Main Salon. Nav station is located on the starboard side of the main salon. Red nav light and alpenglow lights throughout main salon for night vision. Anchor roller: Single SS. Anchor roller is adjustable for accepting different size anchors and holding conditions. Dodger and Bimini with Phifertex Plus roll-down shade curtains on 3-sides. 3-solar panels on top of bimini. 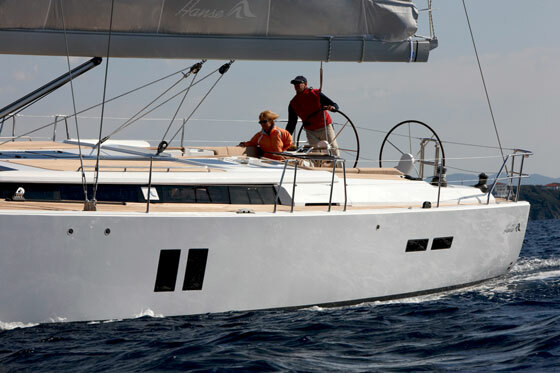 Cruise-equipped with Dacron sails by Island Planet. Winches: (4) Self-tailing Barient 27s with spare parts. All located in cockpit area. With this kind of sail and rigging setup – no need for roller furling, backstay adjuster, reaching strut, spinnaker pole nor whisker pole!